This photo I took the other day of some cypress needles washed up on our gravel driveway illustrates in miniature one of the recurring patterns that Peter Andrews sees written into the Australian landscape, pre-human meddling. Notice the positive feedback loop. 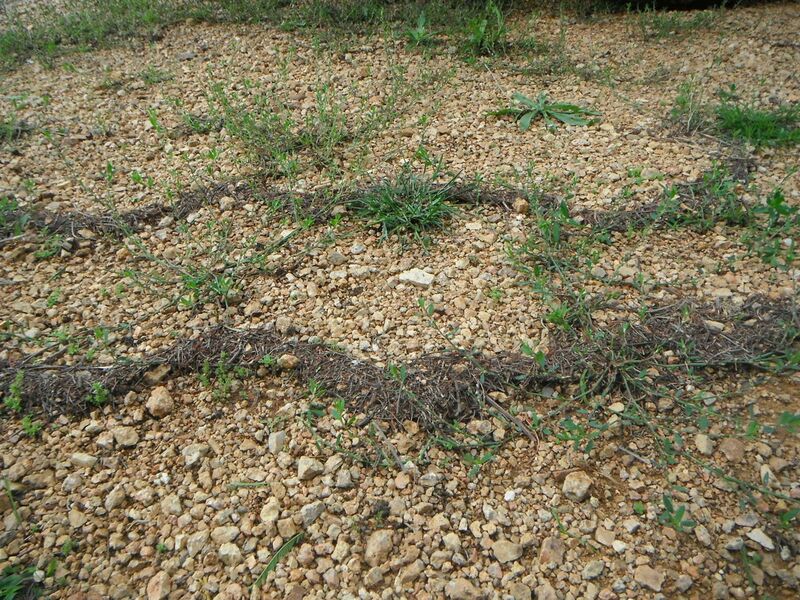 The contour bund of vegetation has started where the vegetation exists in the gravel, which in turn leads to more vegetation which in turn leads to… and so on. Imagine the same thing but kilometres long at the side of a floodplain. Or perhaps a 50cm high contour on the side of a hill leading from the valley out towards the ridge. Then 1m high, then 2m, then eventually a dirty great big knob of organics emerging from a ridgeline. What happens to vegetation growth on the slope below if there is a huge compost pile for runoff to percolate through? What if that compost pile is made of nutrient filled reeds or the lusher vegetation of yesteryear? What if the drainage lines are intact and hence the subsoil is already charged, causing that nutrient rich water to travel through the upper horizon, right where the main feeder roots of the plants are? As Hakai Tane puts it, you get a stepped hydroponic terraquaculture growing system that’s what. My imagination allows this, how about yours?